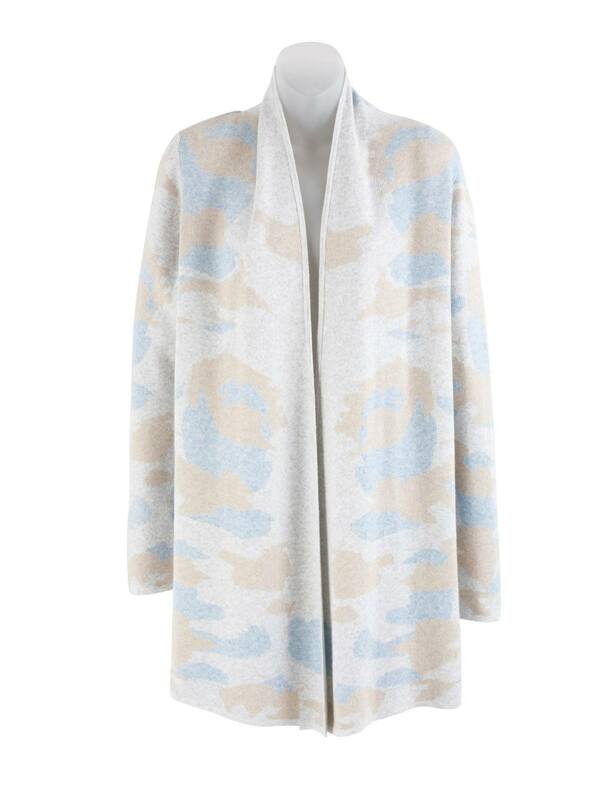 Camo Print Cotton/Cashmere Cardigan is understated style, with its camo print almost hidden, but definitely there. Knitted of 74% cotton/21% poly/5% cashmere. Open, longer cardigan with long sleeves.